DALLAS TERMINAL RAILWAY. 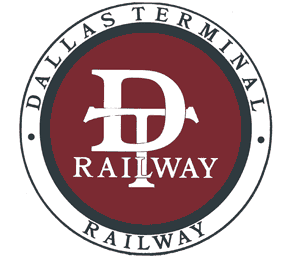 The Dallas Terminal Railway and Union Depot Company was chartered on December 10, 1894, to build north from Dallas for twenty miles to a connection with the St. Louis Southwestern Railway Company of Texas between Plano and Fort Worth. The capital was $500,000, and the business office was in Dallas. Members of the first board of directors included Alexander Sanger, Royal A. Ferris,qqv W. C. Connor, J. C. O'Connor, E. M. Reardon, Barnett Gibbs, and J. E. Schneider, all of Dallas. Earlier businessmen of Dallas had offered the Cotton Belt, then operating as the Texas and St. Louis, cash, land, and right-of-way to extend its line from Mount Pleasant to Dallas by April 1, 1884. The Cotton Belt could not meet this deadline and, in fact, bypassed Dallas and built to Fort Worth. The Dallas Terminal Railway charter authorized it to build a belt line around Dallas and a connecting road to the Cotton Belt track in Fort Worth. For several years the company retained its charter but laid no track. Finally, between 1893 and 1896 it laid four miles of industrial track in Dallas. In 1899 the name of the company was changed to Dallas, Fort Worth and Gulf Railway Company, and the plan to build a line to Fort Worth was revived. Two miles of additional track was laid. In 1901 the company was purchased by the St. Louis Southwestern Railway to provide terminal facilities at Dallas for its Texas subsidiary. The charter was again amended when the company's original name was restored. A passenger depot was built in 1903, and track was laid connecting with all Dallas railroads. In 1916, when Union Depot opened, the Dallas Terminal passenger depot was closed. In 1953 the Interstate Commerce Commission authorized the St. Louis Southwestern Railway Company to lease and operate the company's properties, and Dallas Terminal Railway and Union Depot Company became a nonoperating lessor. In 1994 it was merged into the St. Louis Southwestern. Here is the train list. Welcome! This is my wants/needs/haves list. Please spend a few minutes to see if we can help each other out with this unusual affliction we have - I'll appreciate it. All parts are priced each unless noted. All parts are guaranteed to be as represented. UPS, truck freight daily. Prepaid or credit cards please. I don't want it to be a headache! You must download the list in PDF form. Download the Train List now. Version 2000-02-02.